Track and analyze key business metrics and campaign efforts to optimize marketing investments. Search Optics is the exclusive provider of UPTRACS to the automotive industry. 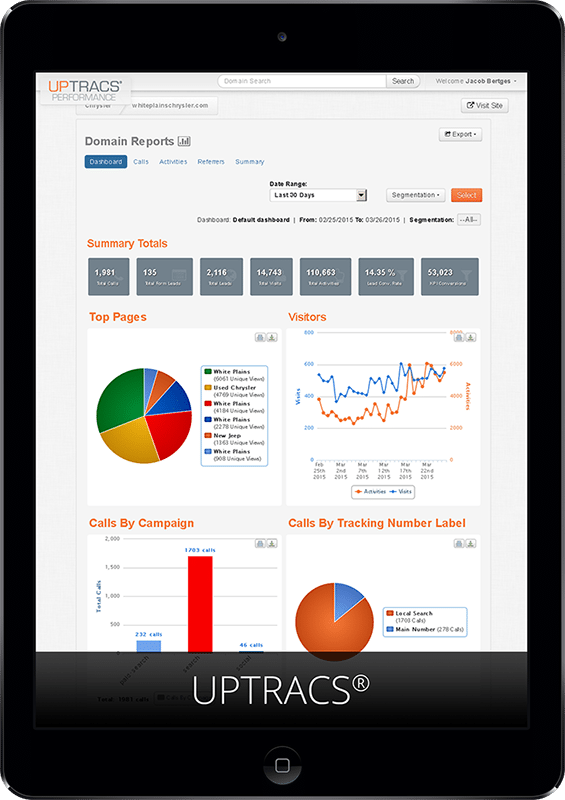 UPTRACS is a reporting platform that measures the effectiveness of each marketing dollar you spend and helps you to optimize your entire campaign – not only by tracking every response to your online marketing efforts but by also calculating your offline conversion rates and cost-per-lead – all in real-time. This information gives you the confidence to make critical decisions about how to adjust your digital strategy for maximum returns.